Buying precious metals like gold and silver is fantastic way to ensure all of your investments are not in one basket. 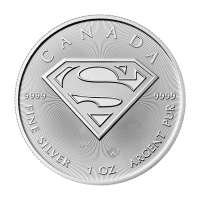 For new precious metals investors, authenticating silver and gold can be really intimidating. How do you know if you’re buying the real thing? Can you really be sure? What specific things should you look for when you invest in gold and silver? Doing your research, as well as buying from a trusted source are two imperative steps when you’re investing in precious metals. Can you imagine investing substantial amounts of money into gold and silver only to find out it’s counterfeit? The good news is there are several ways to ensue this doesn’t happen to you. Explore five ways to avoid buying fake precious metals today. One of the best ways to figure out whether or not your gold and silver are real is by determining their weight. Counterfeiters will often inscribe the weight that the metals should be somewhere on the gold and silver items. They’re smart- they know they need to list a legitimate weight on the item, otherwise investors and collectors would be suspicious about the metals’ authenticity. Therefore, ensuring that the weight listed on the item matches its real weight is a good way to begin determining whether or not the metal is authentic. Never buy an item of gold and silver without authenticating its weight first. It’s important to keep in mind that where you buy your metals from is vital to determining whether it’s real. Only shop from reputable metal sources that have positive reviews from customers. Any reputable source of gold and silver will list the items weights clearly on their websites, and their customer support team will help answer any questions you have on weight as well. A common test to see whether your gold and silver are fake is a simple magnet test. Both silver and gold are not magnetic, meaning they will not stick to a magnet, regardless of how strong it is. A mistake that most counterfeiters make is using magnetic materials in their phony products. To test whether your precious metals are real, simply buy a cheap magnet and place it on top of the gold or silver item. If it sticks, you’re dealing with a fake. If it slides off easily, there is a chance the item is authentic. 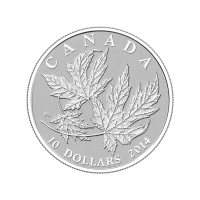 It’s important to note that sometimes counterfeit silver and gold are made with non-magnetic materials, too. Therefore, be sure to perform more than just this one test to authenticate your gold and silver. Next up is the acid test. With this test, you don’t have to worry about harming your real gold and silver items. Although it sounds intimidating, you have nothing to worry about! This method will only harm fake metals. To start, first test your gold items. Get a small amount of nitric acid. Then, apply a small amount of the nitric acid to the surface of your gold item. If the it turns green in color, it is fake. Real gold will not react in any way to the acid. Most acid tests for silver items will follow a similar process. They will have you apply a small amount of acid to the item, and depending on the color the silver turns, you can determine whether or not it is authentic. It’s important to read the instructions of your gold and silver acid tests carefully and follow the instructions properly. If you’re looking for a relatively simple test to determine how authentic your gold and silver are, this is a great option for you. The “ping” in the “ping” test refers to the sound a real gold or silver item should make when it is struck. To conduct this simple test, you’ll need your gold and silver items, as well as another piece of metal. Hold your precious metal in your fingertips, and lightly tap the other metal to it. When you do so, you should hear a chiming noise, that sounds similar to the clinking of two champagne glasses. The noise should last several seconds if the gold and silver items are real. If they’re counterfeit, the noise will be a dull, short sound instead. Chances are you’ve heard of cheap jewelry leaving someone’s skin discolored. It’s often a sign of counterfeit gold. The good news is, this is a simple test that you can conduct at home. First, place your gold item in your hands. Rub your hands together and try to get them to perspire. When your hands sweat and you’re handling fake gold, your skin will become discolored. Real, authentic gold will never change the color of your skin, or leave your hands green. 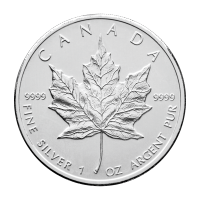 Unfortunately, counterfeit gold and silver products are fairly common. Especially if collectors and investors do not opt to buy from a reputable source. One of the most important factors of buying your precious metals is ensuring they’re authentic. Otherwise, you risk spending a lot of money on fake, worthless items. 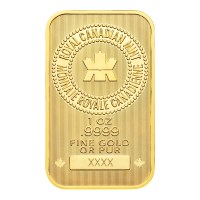 Aside from trying the tests mentioned above, one of the best ways to ensure you’re buying only authentic gold and silver is buying from a great source. Silver Gold Bull is the leader in their industry. They’re a trusted silver and gold dealer that offers competitive, up-to-minute pricing on their items. They also guarantee that your precious metals are always fully insured.